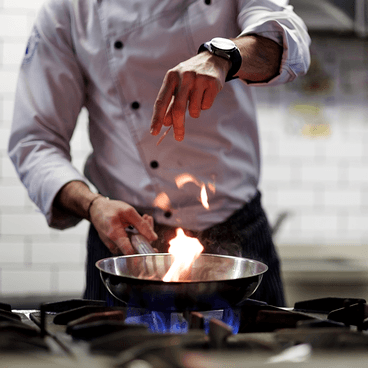 If your business is cooking on gas, you don’t want to be paying over the going rate for your supply – but if you’ve never switched supplier, or you’ve let your last contract run down without arranging a new one, that’s exactly what you’ll be doing. Business gas suppliers often bank on you being too busy to arrange a new deal, so they can roll you onto a more expensive standard rate, and maybe even tie you down to that rate for another year. If you’ve just moved into a new business premises, but are yet to arrange a deal with your gas supplier, you’ll be placed on an expensive ‘deemed rates’ contract. This will see you paying over the odds for your energy, again. How much should I pay for business gas? Although commercial gas contracts work slightly differently to domestic deals, the best part of your business energy bill will be taken up by the unit rate (the price you pay for the gas and electricity you use) and the standing charge (a fixed daily charge to cover maintenance, transport and delivery costs). The rest will be made up by additional charges and taxes, including VAT and the Climate Change Levy (CCL), which is in place to encourage greater energy efficiency. Although there are some instances in which you may be able to pay reduced rates for VAT and CCL, the simplest way to cut your bills is to sign up to a deal that offers a lower unit rate and standing charge than the one you’re currently on. *10% of new customers saved £970 or more when they switched their electricity and gas with Make It Cheaper in 2017. **Save up to £491 on your energy bills. Between 1 April and 30 September 2017, at least 10% of people who switched energy supplier for both gas and electricity with uSwitch.com saved £491 or more. Ring around each individual supplier to get separate quotes to ensure you’re on the best-priced deal. Make one call to 0800 326 5530 and our energy experts will compare deals from a range of business gas suppliers to get the best rates for your business. All you then need to do is pick the deal you prefer, and we’ll handle the switch for you. Our service is 100% impartial and completely free, with no hidden charges, so you can rest assured we’re working in the best interests of your business. Instead of ringing around a range of commercial gas suppliers yourself, you can save time and money by making one call to our energy experts, who can compare tariffs on your behalf to find the best deal for your business. Your current contract's end date* The date your switching window opens. Once we’ve run a business gas comparison, the final decision lies with you – we just supply the quotes, and you then pick the one you like best. The amount your business can save by switching gas supplier depends upon a number of things, including the type of industry you operate in, the type of premises you operate out of, the number of staff you employ, and even whereabouts in the country you’re located. But if you’ve never switched supplier, or not switched in a while, we could help lower your business energy bills by as much as £970* - give us a call now on 0800 326 5530 to find out exactly how much you could save. Or leave a few details in the box at the top of the page and we’ll give you a call back. When you switch to a new deal, your new supplier will be in touch with the details of when the changeover will take place, as well as information on the agreed payment dates and methods. Make sure you check all of these details are correct before you sign up as there’s no cooling-off period on commercial contracts. With all that sorted, you’ll then just have to send a final meter reading to your old supplier so they can send an accurate final bill. The whole switch should be completed within four-to-six weeks, and there should be no need for any extra digging or drilling at your workplace, as the gas still gets there via the existing pipes, it’s just the company supplying it that changes.